- yearly rentals, mostly for locals with a 1 to 5 year contract. Short-stay rentals are perfect when you want to stay in the city a few days, or maybe a couple of weeks, but when you need to be in Madrid for a few months, the price can become prohibitive. Tariffs are given per night, and anything over a month is often just too expensive. Local landlords will offer longer stays but mostly ask for yearly contracts as a minimum, and these days almost all landlords ask for local bank guarantees, salary slips and job contracts as a guarantee that the tenant has financial stability. Fortunately, GoMadrid can now offer cheap long-term rentals for monthly stays without the need to stay for 1 year! And, these properties are available at a price that won't break the bank. 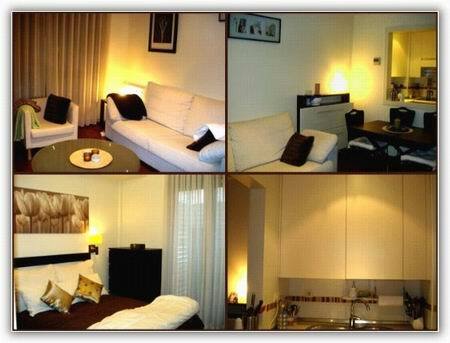 These apartments are perfect for employees who come from other countries to work for long periods in Spain. Or for expatriates relocating to Madrid and who need a quick accommodation option while they look for something more permanent. Or for students on a course not lasting the full academic year. If you're not sure which apartment is best for you, please just fill in our request form and allow our accommodation provider to suggest the best option. Just click the button below, enter your details and wait for our partner company to get in touch.